KENCO Flat Glass Gauges are used where direct visual observation of process fluids is required. 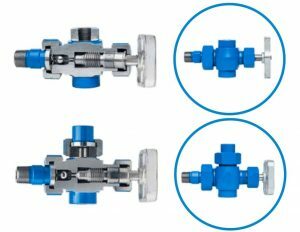 These gauges are suitable for a wide range of applications with pressures up to 4000 psig at 100°F, and temperatures up to 750°F at 2300 psig. 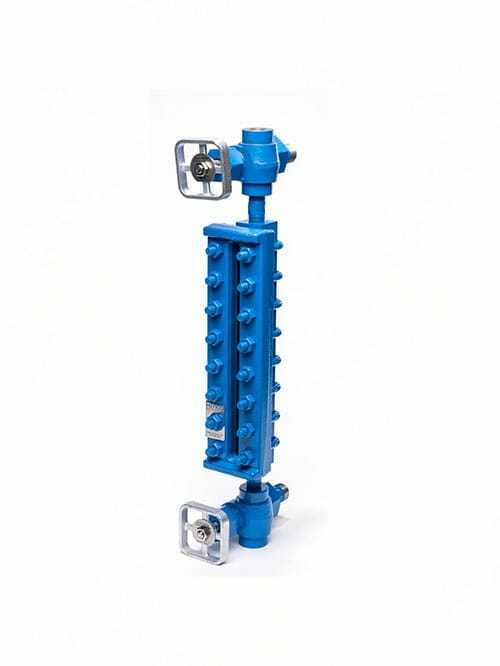 KENCO gauges are available in a wide variety of construction materials, connections and other options to meet most specifications. Reflex gauges have a single piece of glass, mounted on one side of the chamber. This piece of glass is flat on the outside, and has a series of prisms on the inside, facing the process fluid. When light strikes the portion of the glass covered by a liquid, the light is reflected from the back of the chamber. This area appears “black”. When light strikes the glass where no liquid is present, the prisms reflect the light directly out of the gauge. This area appears “silvery”. Reflex gauges provide an excellent way to measure clear, or difficult to see fluids. The “silvery”/”black” interface is easy to see from several feet away. Flat Glass Gauges have been in use for over 100 years. They give you the ability to directly view the process fluid under temperature/pressure conditions that would render most other level technologies useless. Their construction is very robust, and reliable. They define the term “simple to use”. After installation, the only tool you will need is your eyes. Flat Glass Gauges are relatively inexpensive as compared to most other level technologies. KENCO High Pressure Flat Glass Gauges have a superior rugged design for the most demanding process conditions. Standard carbon steel gauges meet the requirements of NACE MR0175. Unlike other manufacturers, there is no additional charge for NACE. All materials meet or exceed ASTM specifications. Model KHR Reflex Gauges can reach pressures up to 4000psig. Model KHT Transparent Gauges can handle pressures up to 3000psig. 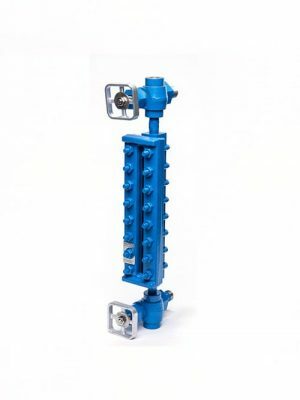 While these gauges are not specifically designed for steam service, the Model KHR gauges will perform at saturated steam pressures up to 300WSP. The Model KHT will perform at saturated steam pressures up to 750WSP. Mica shields are recommended for Model KHT when used in steam. Shields cannot be used with Reflex Gauges. 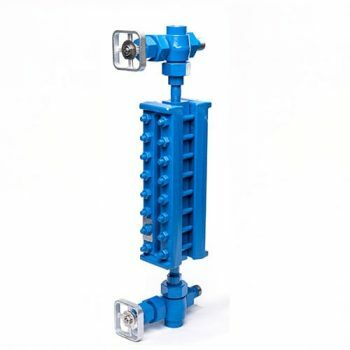 The KENCO Frost-proof Extension is used in low temperature applications where frost has a tendency to build up on the gauge. This extension prevents frost from covering the window, maintaining visibility at all times. The Frost-proof Extension consists of clear, plastic block that is in direct contact with the glass, and extends beyond the cover so that frost build-up does not block the glass. Mounting is easy, and can be added to any Reflex or Transparent gauge in the field. The extension can be installed or removed for cleaning while the gauge is in service.